alaTest has collected and analyzed 14 reviews of Canon Optura 500. The average rating for this product is 4.5/5, compared to an average rating of 4.0/5 for other Camcorders for all reviews. Reviewers are impressed by the color and size. The design and usability also get good feedback, but some have doubts about the battery and price. We analyzed user and expert ratings, product age and more factors. 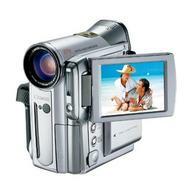 Compared to other Camcorders the Canon Optura 500 is awarded an overall alaScore™ of 76/100 = Good quality. alaTest has collected and analyzed 8 user reviews of Canon Optura 500 from Amazon.com. The average user rating for this product is 4.5/5, compared to an average user rating of 3.9/5 for other Camcorders on Amazon.com. Reviewers really like the image quality and color. The design and usability are also mentioned favorably. There are some less positive reviews about the durability, and there are some mixed comments about the size. The Canon Optura 500 is a MiniDV Camcorder with a 10x Optical Zoom. I got this camera a few months ago and I picked it out partly because of the great size of it. My hands are actually pretty big, and it's still great for me. Picture quality is consistently great. Won't regret it!